Are you having an awesome September? Yeah, us too. And thanks to be here with us as we got something new to you. We delightedly announce that Advanced Member V4 app has been released officially and now available on phpFox Store. You may agree that one of the most important things of a successful community is ability to establish and keep connections between members – ways of communication, sharing, and discovery. Advanced Member app is here to help resolve this puzzle for our community. 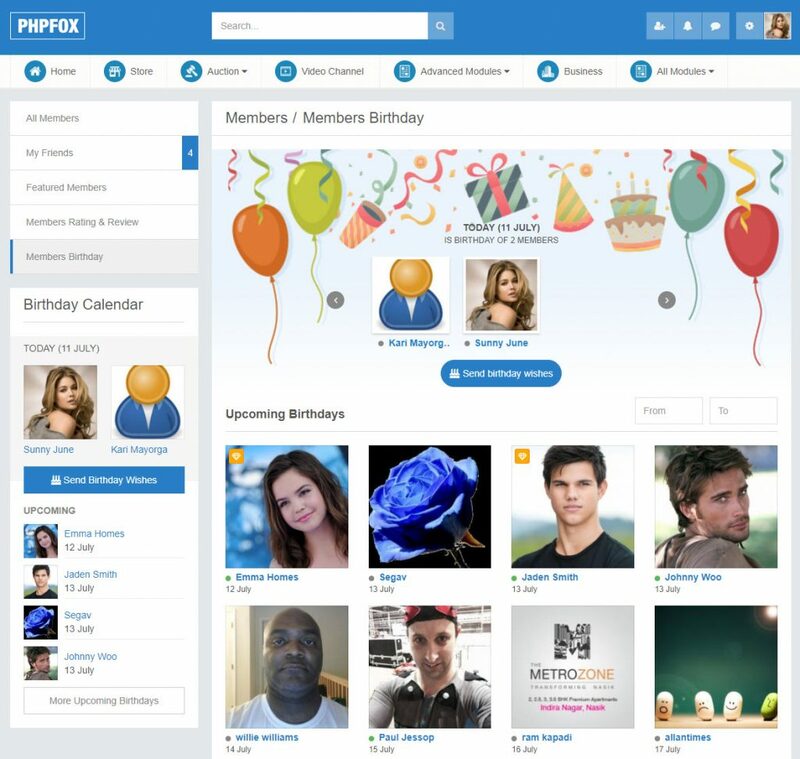 This app has almost advanced features you need to increase user interaction on your community, such as highlighting members, browsing and searching other people, suggesting friends, get notifications, messaging, sending birthday wishes, rating and reviewing members. To know more about our Advanced Member V4, please refer this post or experience it on our demo site. P/S: To celebrate this release, we are now offering discount 30% OFF on all purchases of this app and the promotion is valid until end of Sep 19th, 2017 (PST). For those who are having Deluxe package, kindly contact us to get this new app added to your account in phpFox store. Hope that you will be satisfied with our Advanced Member V4. If you still have any queries, please feel free to contact us, and we’ll get back to you in soonest.